I hope you’ll watch this beautifully done video from the Life of Jesus Christ Bible video series. You can find additional Bible videos here and other Easter videos here. These are great to share with your family. I have a testimony of our Savior and Redeemer, Jesus Christ. I know He sacrificed for each one of us in a way I will never fully understand. His suffering in the Garden of Gethsemane, when he took upon himself all the sins of the world, means we will be forgiven of our sins if we sincerely repent and forsake them. He suffered terribly and died upon the cross, for us. He was resurrected, his body and spirit reunited, three days later. This means we too will live again, our bodies and spirits will be reunited, after we leave this mortal life. We could only have these amazing gifts through our Savior. Someone had to pay the price and He paid that price, for us. Jesus has shown us the way to live here on earth so that we can return home safely to our Father in Heaven. 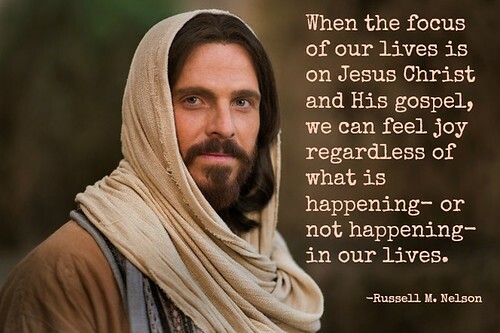 All we have to do is follow His example, be His hands here on earth, and let His light shine through us. We have a lovely newlywed couple living temporarily in our basement (which has all the components of an apartment such as a full kitchen, master suite, 2nd laundry room and 2nd family room). 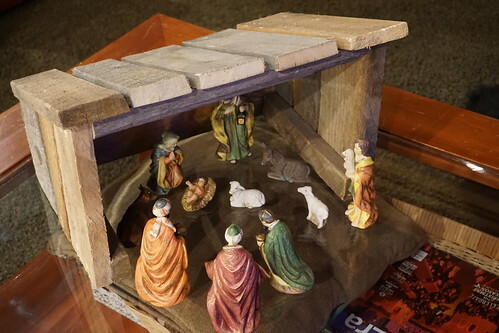 The husband made us this manger as an early Christmas gift. 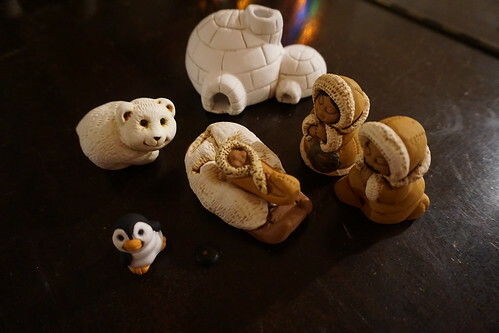 It’s the perfect fit for my oldest nativity set. I couldn’t sleep early this morning so I sat on my couch and just looked at this rustic manger. I love it. Maybe I can find a light brown cloth or burlap to go underneath. I wanted to share our family’s Christmas advents. We count down the 24 days leading up to Christmas by reading a special story each night. In past years we have read these stories out of a binder which my sister-in-law made for us. This year I had enough Christmas storybooks in our collection to wrap them individually. One is randomly selected and unwrapped each night for our story time. Some of these storybooks have accompanying CDs or DVDs which we listen to or watch. Most of these stories are about the true meaning of Christmas. 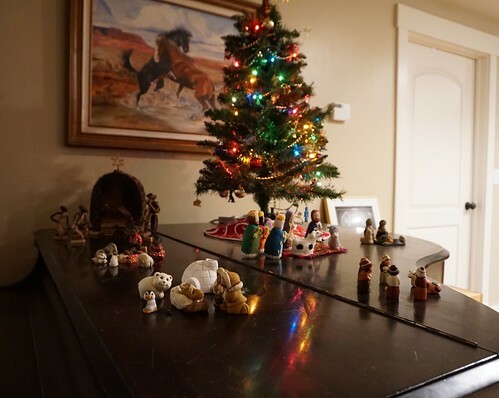 On Christmas Eve, we read the Christmas story out of the Bible. This year we started a new advent tradition- 12 days of Christmas. 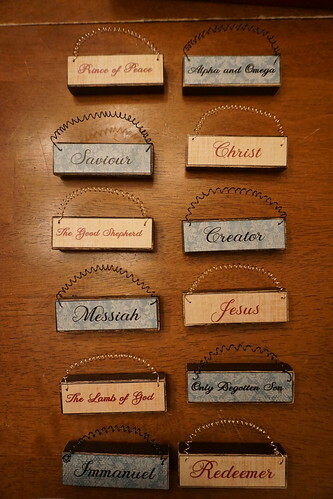 I made a set of 12 ornaments out of Jenga blocks, each featuring a different name of Christ found in the Bible or The Book of Mormon. I wrapped each one and put a tag on it so we’d know which to open on which day. There is an accompanying scripture verse with each one. From the October General Conference talk, Joy and Spiritual Survival. What an amazing relief to hand over my worries to a loving Father in Heaven and His Son, Jesus Christ, who can do so much more with them than I can. This frees me to use my precious time and energy on worthwhile things that bring me joy, such as spending time with those who love me- time when I am truly living in the moment. This past week I found out that someone I once trusted had done something to deliberately hurt me. I let this particular issue eat at me for a couple of days, adding bitterness to my initial sorrow and pulling me into a state of depression around my poor husband and son who were trying desperately to cheer me up. One morning I came to my senses and knelt down in prayer to my Heavenly Father. I tearfully poured my heart out to Him. I didn’t hold anything back. I also asked Him to help me forgive this person and see them as He sees them (as one of His children, just as I am one of His children). Once I had let all my anguish out, I started thanking my Heavenly Father for my many blessings. I named blessing after blessing off the top of my head. I felt so much lighter afterwards! I was reminded that the good in my life far outweighs the bad. Looking back on last week, as soon as I let go of the issue I had been obsessing over, I finally felt peace and recognized joy in my every day life. One of the highlights of my week was spending three hours at an elderly neighbor’s home, easing some of her loneliness by having a long conversation with her about anything she wanted to talk about. I also felt joy every night when my son and I took a walk together (it’s the only time here when the temps cool down!). I felt joy preparing a delicious meatloaf dinner for my husband after a long day at work. I felt joy making a homemade birthday gift for my niece. I’m so glad I turned to my Heavenly Father in prayer that day and let go of the burden I had been carrying. Joy is so much nicer than stress!